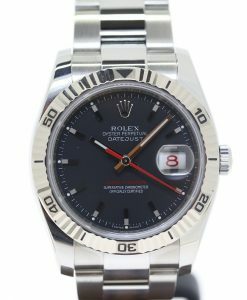 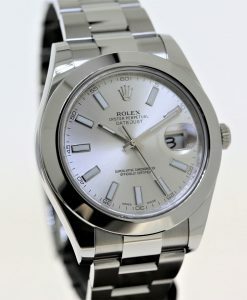 This example is in stunning condition with factory set diamond markers on the dial. 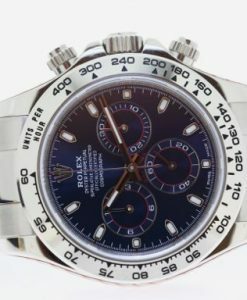 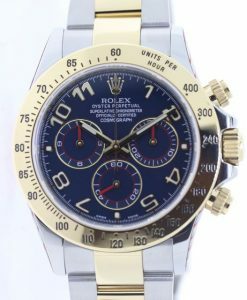 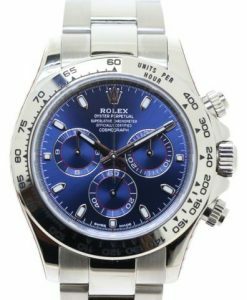 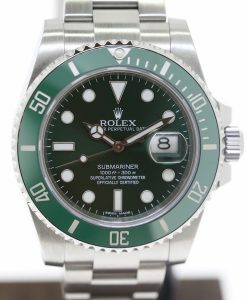 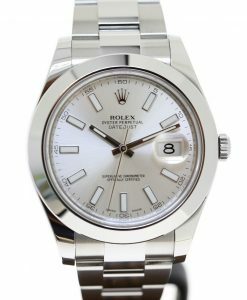 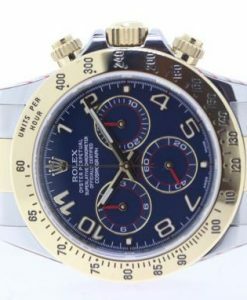 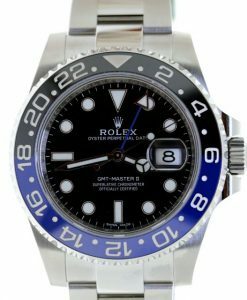 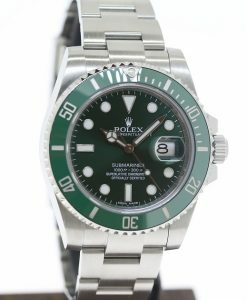 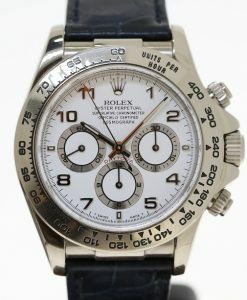 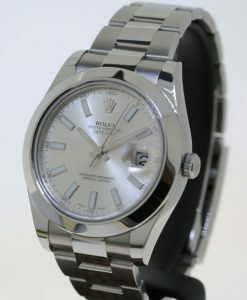 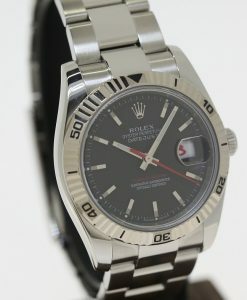 Current retail price for the equivalent new watch is over $40,000(AUD) inc GST. 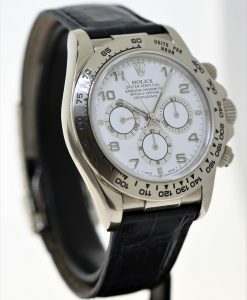 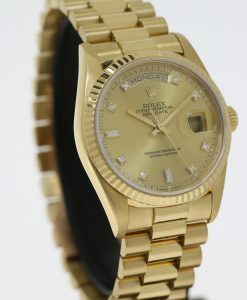 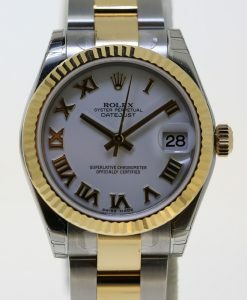 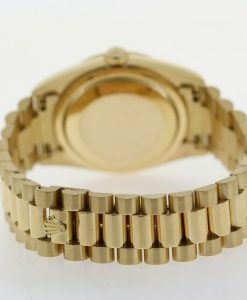 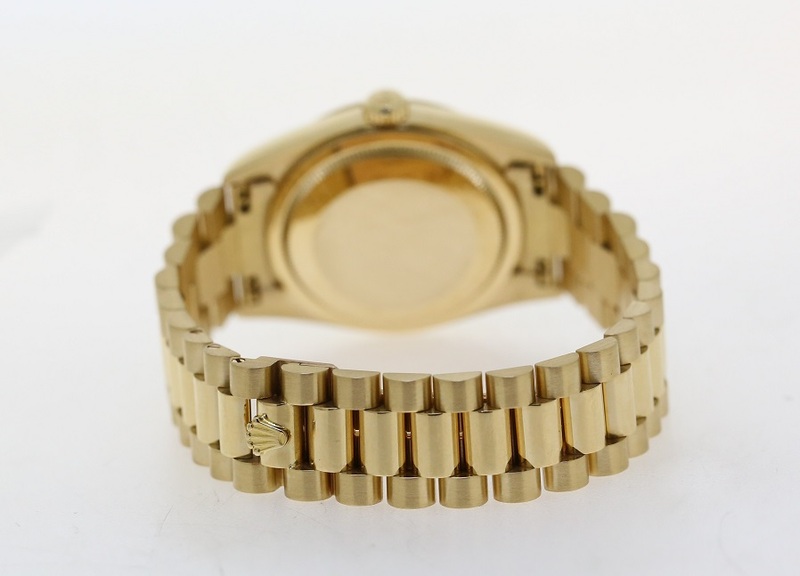 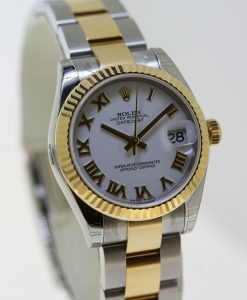 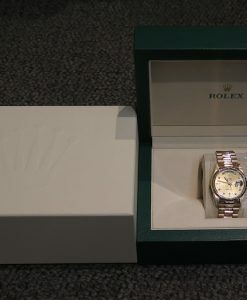 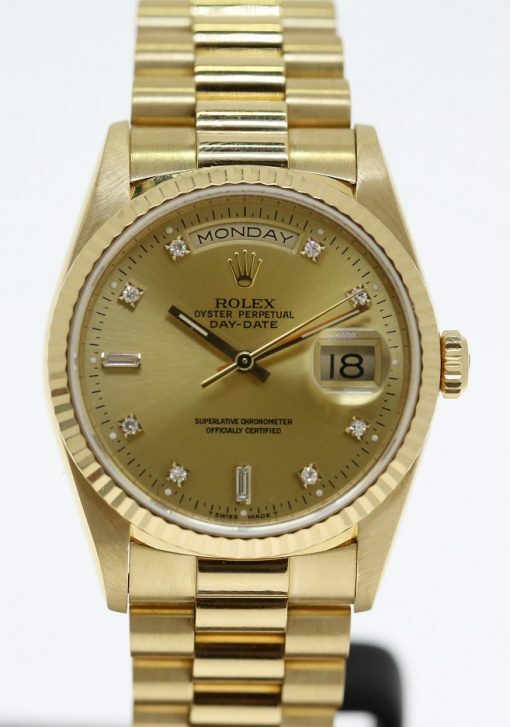 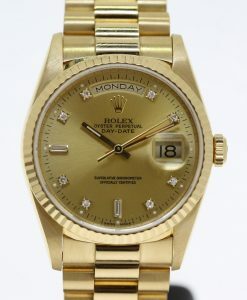 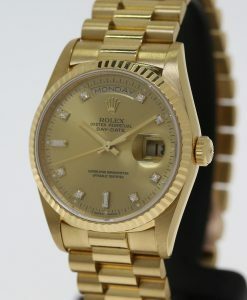 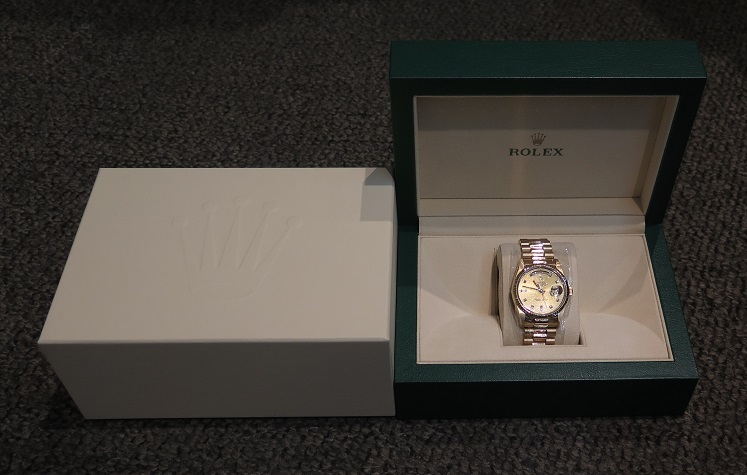 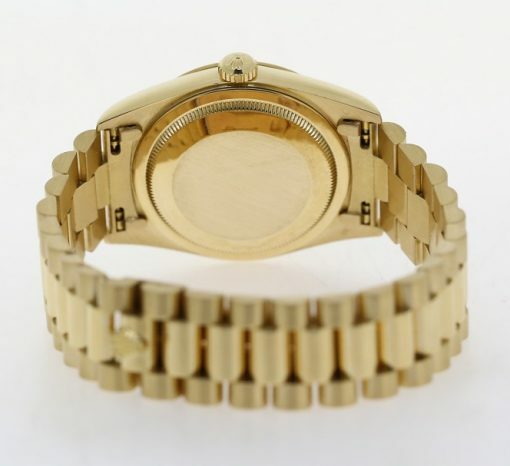 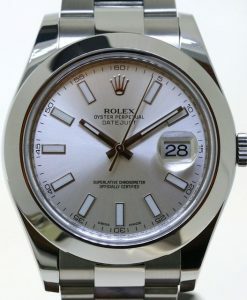 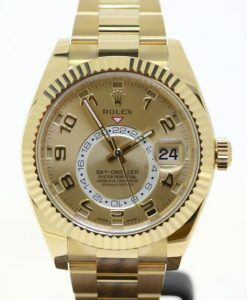 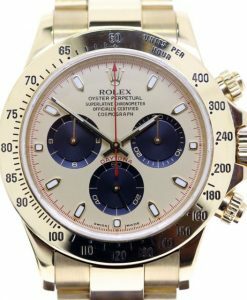 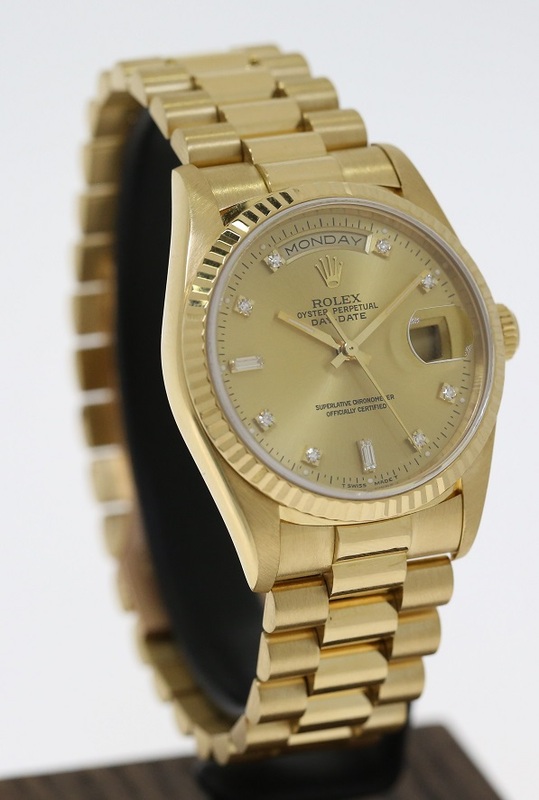 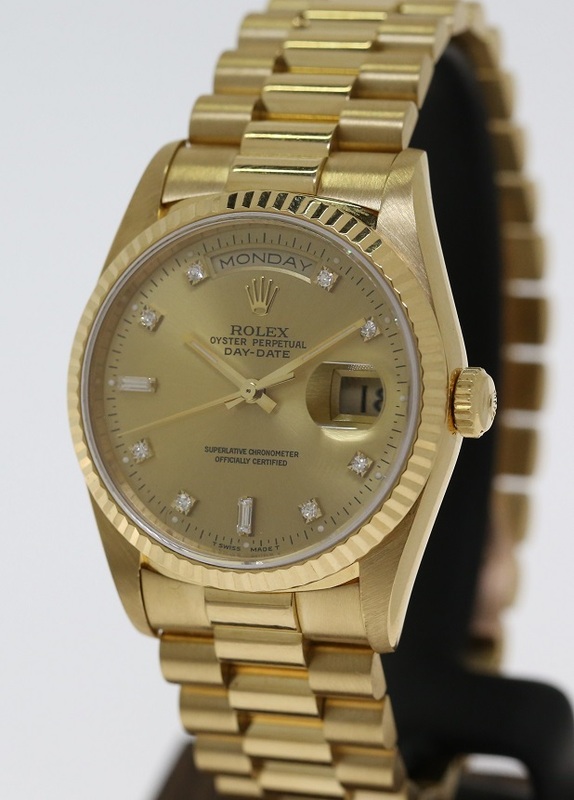 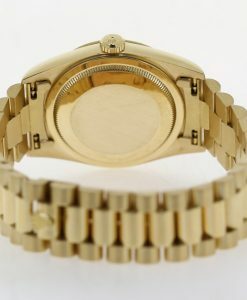 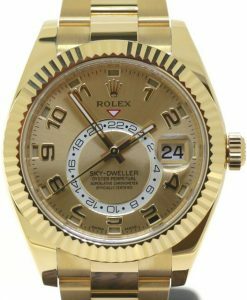 Send Enquiry for Rolex Oyster Perpetual Day-Date in 18ct Yellow Gold Ref. 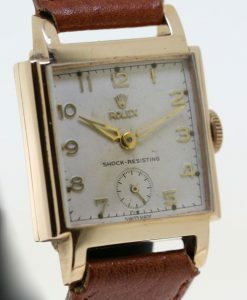 18238 with Factory Diamond Dial.